#DrSethShastak To celebrate National Science Week, Leah and Miani replay Miani's interview with Dr Seth Shostak, Senior Astronomer and Director of the Center for SETI (Search for Extraterrestrial Intelligence) Research USA, where they discuss cosmic matters such as parallel universes, what would really happen if we had transporters and an ETA for finding ET within the next 2 decades! 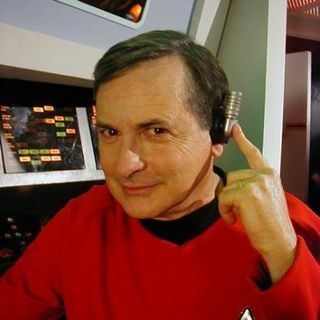 Dr Shostak is an active participant in the Institute’s observation programs and has been hosting ... See More SETI's weekly radio show Big Picture Science since 2002. Each week he interviews guests about the latest scientific research on a variety of topics: cosmology, physics, genetics, paleontology, evolutionary biology and astrobiology... very cool!! Music cut: Back to the Stars by Frank Dixon from the Music Matters Charity Album.